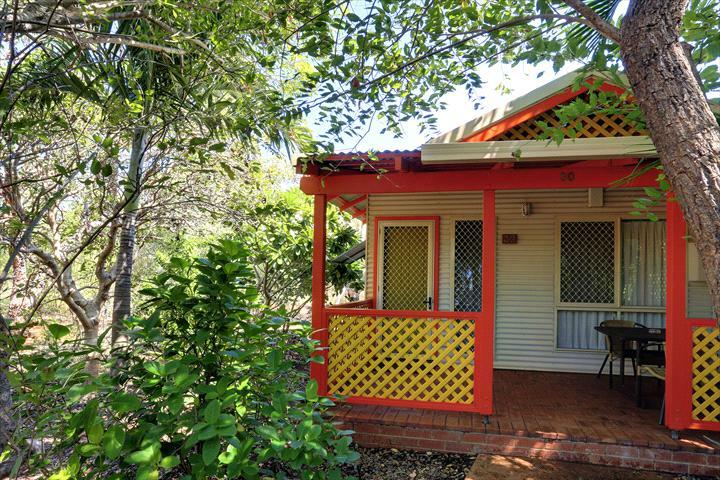 Habitat Resort is exclusively situated adjacent to the Broome Golf Club. 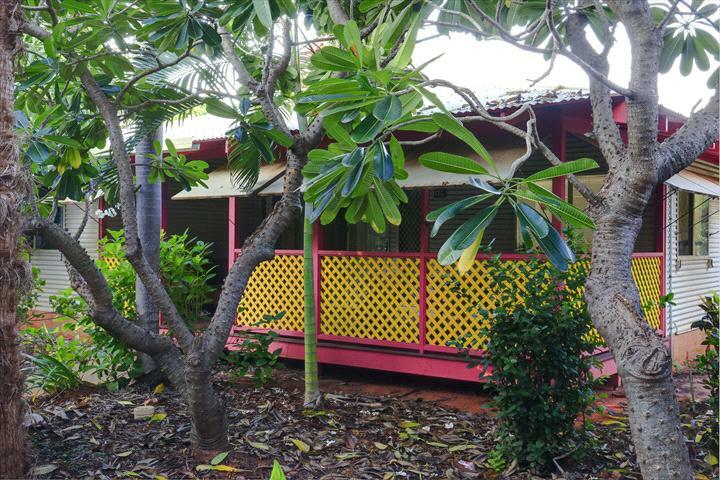 The apartments are set in nine acres of tropical and native gardens that are arguably the best resort gardens in Broome. With over 100 pawpaw trees, 50 banana palms and numerous other native and exotic fruiting trees, Habitat Resort is a garden lovers delight. Habitat offers you a retreat away from the hustle and bustle of Cable Beach, where you can relax, refresh and enjoy in your own space. The resort has been exclusively designed into zones that separate families and group of friends away from couple seeking a romantic interlude or a peaceful time to themselves. The resort is in a tropical garden setting, the abundant wildlife compliment the mix of native and exotic flora in this Kimberley environment. We offer you two swimming pools to relax by or you can go walking through the sand dunes to Roebuck Bay to admire the spectacular view or for a spot of birdwatching . And only five minutes drive from all Broome has to offer. Habitat Resort provides fully self contained accommodation in 1 and 2 bedroom apartments and 3 bedroom bungalows. We have a special free green fees deal with the adjacent Broome Golf Club. Free WiFi to all apartment and bungalows. Drive into Broome along Broome Road and turn right into Frederick Street at the Shell checkpoint. Continue along Frederick Street for approximately 5 kilometres, passing both Vacation Village caravan park on the right and the Golf Club on your left. Habitat Resort is approximately 200 metres past the Golf Club. Fully Self-Contained 1 Bedroom Apartment with a Queensize bed and ensuite with laundry facilities in bathroom area. Separate lounge area with kitchenette, with full-size oven and fridge and all utensils. An additional child can stay with an extra charge for a folder bed or cot. Please contact accommodation provider for further details. 1 x queensize bed with ensuite. 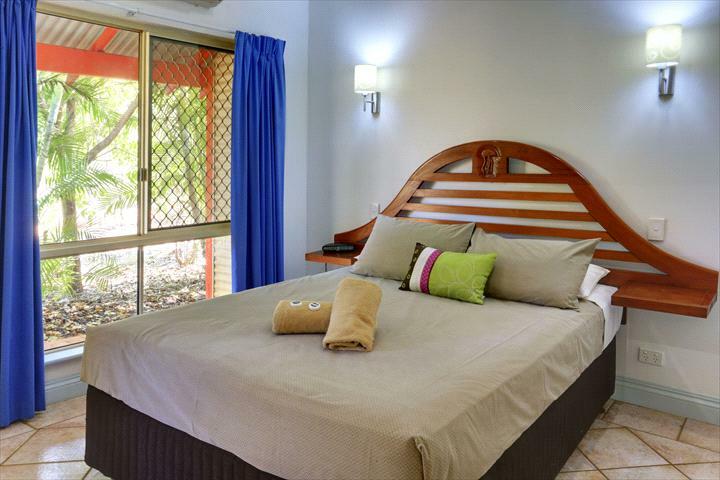 Extra person can be accommodated for with a rollaway bed (subject to availability)at a rate of $30 per night .This must be arranged directly with The Habitat Resort, Broome. 1 x queensize bed and 2 x single beds with 1 bathroom. A rollaway bed can be arranged at $30 per night for an extra person (subject to availability).This must be arranged directly with the Habitat Resort. 2 Bedroom self-contained apartment with 1 x queen size bed and 2 x single beds with 1 bathroom. Lounge and dining area with full size kitchen. Laundry also provided in bathroom area. Verandahs overlooking the beautiful garden surrounds. 3 bedroom standard bungalow 1 x queensize bed and 4 x single beds with 1 bathroom. Stand alone bungalow that excels in privacy and space. Sleeps up to 6 people, seventh person can stay for $30 per night in a rollaway bed (subject to availability). This must be arranged directly with the Habitat Resort. 3 Bedroom fully self-contained bungalow consists of 2 x queen size beds and 2 x single beds with 2 bathrooms (one being an ensuite). These bungalows are suitable for families or large groups. Open plan layout with fully equipped kitchen with full size fridge. 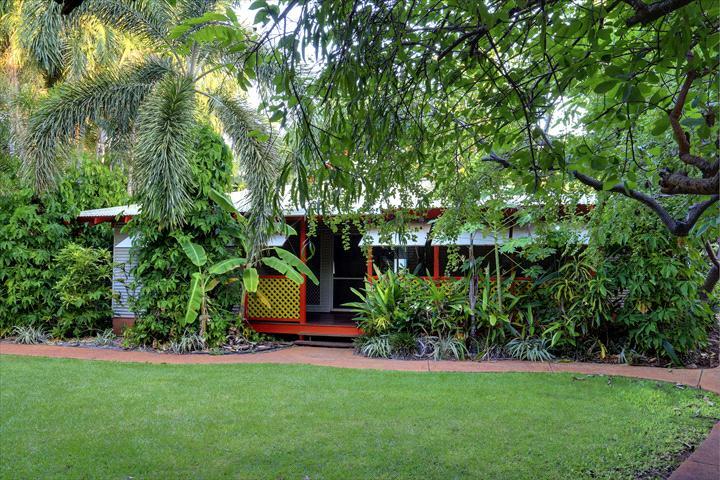 Large verandah for relaxing and to take in the lovely garden surrounds. 3 bedroom deluxe bungalow with 2 x queensize, 2 x single beds and 2 bathrooms. Stand alone bungalow that excels in privacy and space. Sleeps up to six, for an extra person a rate of $30 per night for rollaway bed (subject to availability).This must be arranged directly with the Habitat Resort. 3 Bedroom fully self-contained bungalow consists of 1 x queen size bed and 4 x single beds with 1 bathroom. These bungalows are suitable for families or large groups. Open plan layout with fully equipped kitchen with full size fridge. 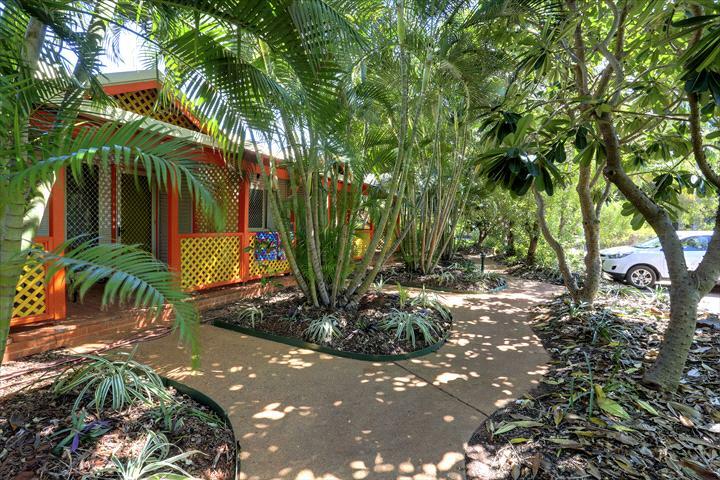 Large verandah for relaxing and to take in the lovely garden surrounds. If a guest cancels their booking more than 14 days prior to their arrival date an administration fee of $50 will be charged and the remainder of their deposit refunded. If a guest cancels their booking within 14 days of their arrival date or fails to show on the arrival date 1 nights accommodation will be charged as a cancellation fee and the full amount of the booking is payable less any nights that can be resold by the Habitat Resort. We strongly recommend holiday makers take out travel insurance to cover for unforeseen circumstances and/or cancellation fees. 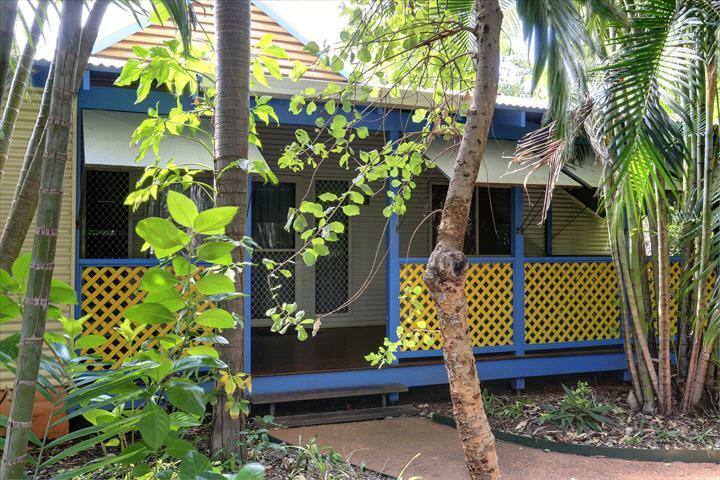 Find Broome accommodation, Broome tours, Kimberley tours, details on The Gibb River Road, Cape Leveque and the Dampier Peninsula, car hire, Cable Beach accommodation, whats on in Broome, hotels in broome and more.